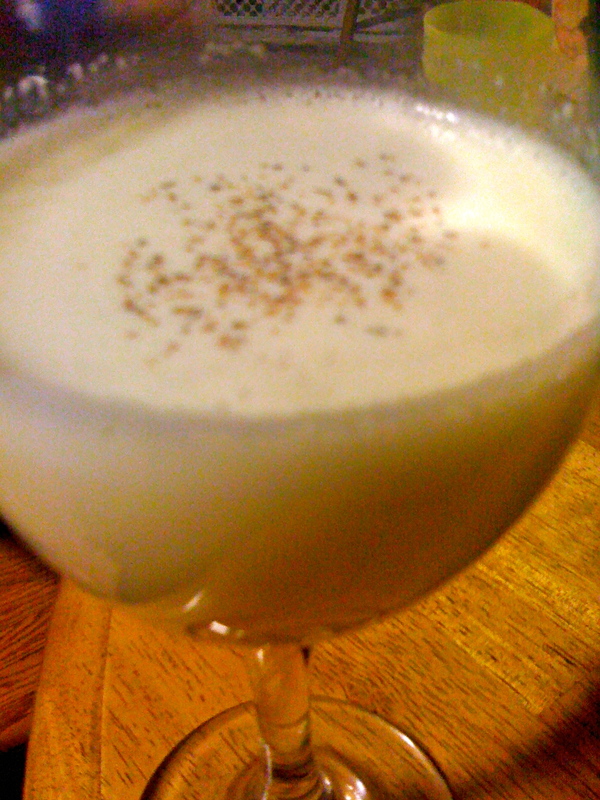 I was at my friend Christina’s house the other night for movie night when she asked me did I want some egg nog, that she could whip some up. Wha? Make egg nog? I thought you just opened the carton! Next thing I know Christina is rifling through her recipe box and pulling out a carton of eggs. Ok, now I know egg nog is called egg nog but seriously? Raw eggs? I’m not Rocky! I don’t have a big fight coming up! I was very concerned about salmonella. I mean, they don’t want you eating raw cookie dough because of the eggs but I’m supposed to drink raw eggs like a beverage? I’m married to Cap’n Safety Pants after all! Christina assured me that it was safe, cheffed up the egg nog and served it. It sure did look pretty. And there was alcohol in it. Bourbon I think? Brandy? I don’t know my booze. I said a prayer and drank it. And it was good! It didn’t taste like eggs at all! It has now been a few days and I’m still living so I’m guessing the alcohol killed all the killer salmonella germs. I came home and told CSP about it and he was like “Oh yeah, I’ve had homemade egg nog, what’s the big deal?” Here I was worried he’d be at the ready with a hazmat suit! « The sofa search is over! the eggs you buy in the store are already pasturized. They have been treated to kill the bacteria that could hurt you. You should be fine, as long as the eggs are within date.